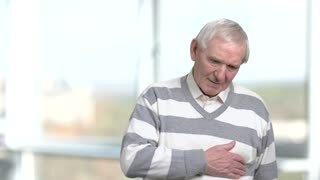 Elderly man having pain in chest. 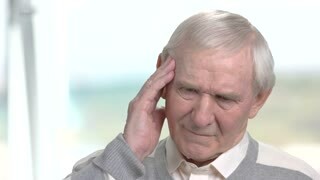 Senior man feeling better after taking medication. Drug against heartache. 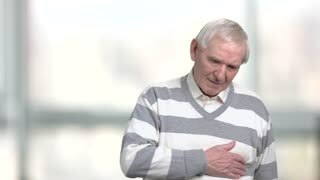 Senior man with heart attack. 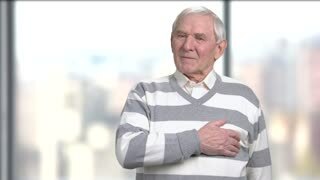 Unhappy mature man clutching his chest on blurred background. 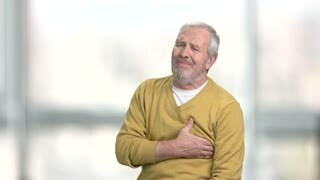 Heart problem concept.